Bedroom Politics: Zimbabwe’s Boon or Bane? 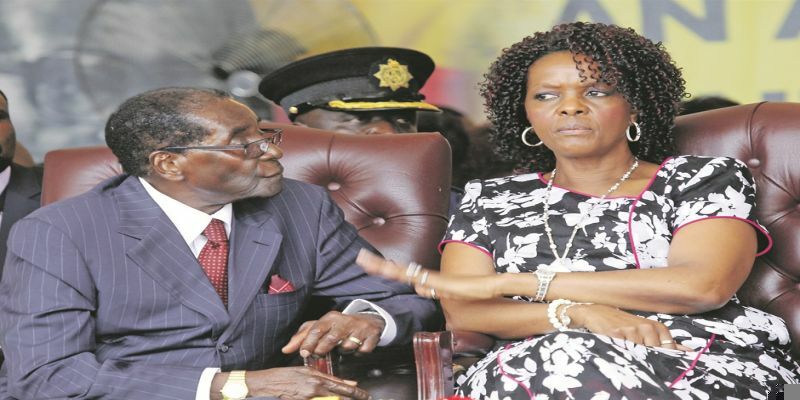 Mrs. Mugabe isn’t new to edging out those she sees as potential contestants for power. Before, former vice president Joyce Mujuru faced the same fate. She was purged unceremoniously after proving that she was suitable for the office. Africa isn’t new to nepotism, corruption, abuse of power, bedroom politics and politics of the tummy. Just last year, in Uganda, President Yoweri Museveni appointed his wife Janet minister for education in his government; and everything seemed normal. Former Malawi president, Bingu wa Mutharika, once appointed his widow Calista minister of Safe Motherhood. In the neighbouring Zambia, former president Michael Sata appointed his wife’s sister, Mariam Mwape Mulenga, ambassador to Turkey. Looking at the CVs of all three presidents, you find that they have a college degree or degrees for Mugabe and Mutharika. To the contrary, their wives don’t have any. Again, you wonder how these leaders are manipulated. This speaks volumes about education in Africa. Apart from some first ladies forming the part of their husbands’ governments, in some countries, they are treated like the presidents. In Tanzania, the wife of former president Jakaya Kikwete, Salma, used to be accorded top-level treatments such as receiving reports from Regional Commissioners and being driven in long motorcades. In Kenya, the wife of former president Mwai Kibaki, Lucy, would summon ministers and reprimand them openly as if she was president herself. Will Zimbabwe be Graceland soon after Grace takes power from Robert? How will Zimbabwe and Africa react? Time will tell. A Canada-based Tanzanian author, Peace and Conflict Scholar, Alumnus of UDSM (Tanzania) Universities of Winnipeg and Manitoba, (Canada).